In case you are renting, this handy redecorate guide may help. 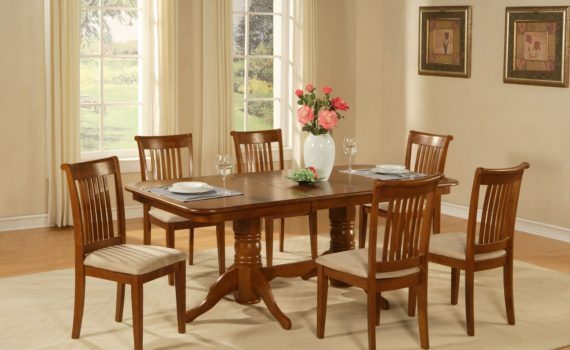 The dining room is one of the parts of your space where you stay the most, aside from the bedroom. This is where you usually eat and stay if you have much homework, study or you had to do paperwork. You might consider decorate your dining room to increase its comfortability to make you more productive and have fun while having meal. We have compiled some of the awesome ways to give ideas if you plan on redecorating your dining room. Start with your table. You can choose by buying the table that will fit your taste or if you’re in a budget, dress up your table by choosing a good tablecloth. Putting some fruits would definitely add color to it and would be best if you put it in transparent glass. Choose a good lighting. You can modernize your dining room by choosing a industrial-style lighting. Balance their streamlined look by combining the lighting with natural furnishings. Eye-catching chandeliers are the hallmark of a well-designed dining room. Add some slipcovers for your chair. If you’re tired of your chair, slipcovers would be best advice for you. It is the best for the upholstered chairs. You can have it customized with what color you want or have it embroidered. You can make couches as your dining chairs. This surely would boost up its coziness. Fill the kitchen corner with a low-profile couch on either two sides of the dining table. Hang a larger-than-life piece of art on your dining wall. You must hang it low so it can be eye-level when you and guests are sitting, and this wall art will be more appreciated. Add some candles on your dining You can choose some really lovely votive or you can do-it-yourself. Use pillar candles because it adds up versatility and it is long-lasting.